Yes. I’ve had a personal blog in Norwegian since the early 2000s, covering miscellaneous topics, a blog that is mostly dormant these days. And yet, here I am plunging into a new blog project. What am I thinking? It’s April 2014! Mostly, I’m thinking that I have things I’d like to say, experiences I’d like to share, on the subject of tech, development, “content”, and technical communications, throwing in some general geekery for good measure. And I’d like to connect with others who have things to say about the same things, so I will do it in English, my primary working language for the majority of the last 10 years. I’ll be writing about technology and writing and related subjects, aiming to keep it interesting for writers not in tech and techies who don’t necessarily much writing. So here I go! This concludes my hello world posting. The next one is coming up shortly and does not involve meta blogging. 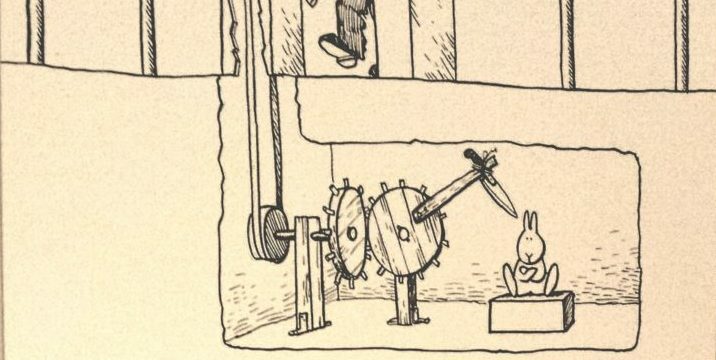 Where does this funny illustration come from? …and now I got a notification. I guess it didn’t work the other time because you wrote a new top-level comment instead of replying to mine. I added a plugin for it a couple of days ago, but I’ve been fiddling a bit to make it work.